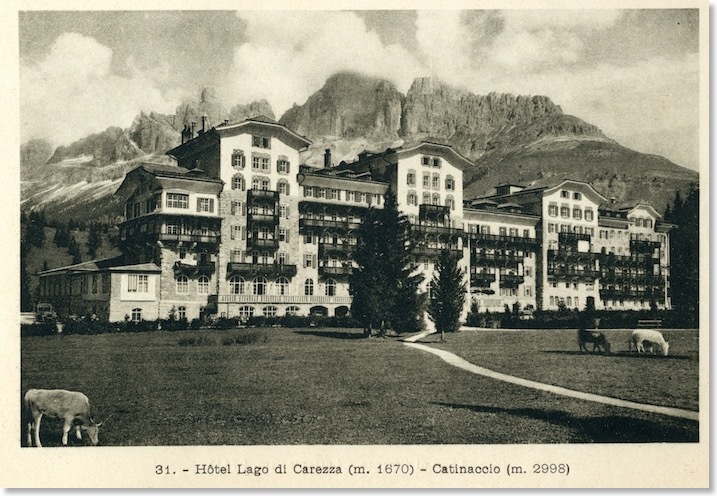 A few minutes up the Road from the Lago di Carezza, this very large, grand hotel has stood for about 130 years. 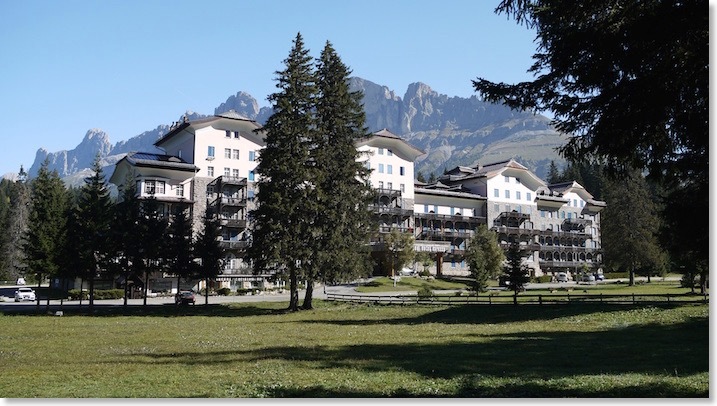 Externally, it is very little altered today, and still meets the needs of a 4* clientele. 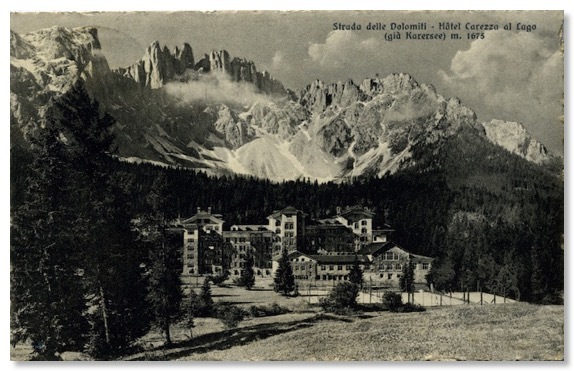 Trees in the grounds have matured somewhat, and the path shown in the Zardini photograph is no more. The massive vertical wall of the Rotwand on the skyline above is, however, unchanged. 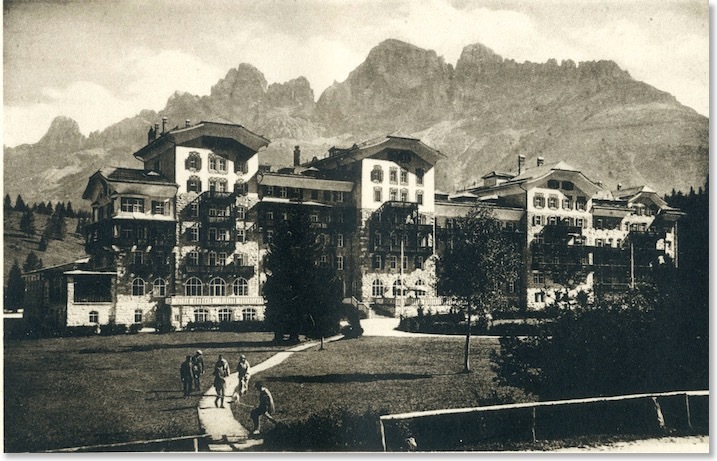 The guides to the Road were, of course, printed to sell to tourists, and I assume that presenting showcase hotels like this was regarded as important. The hotel hadn’t changed very much, though. 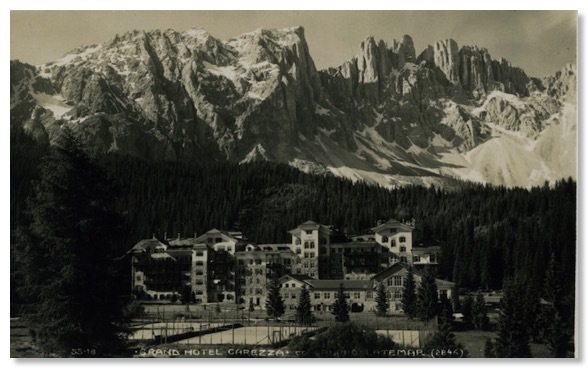 The slow pace of visible change to the exterior is emphasised by this photo by G Ghedina of Cortina, part of a batch of small prints sold for the tourist market in the 1950s and 60s. 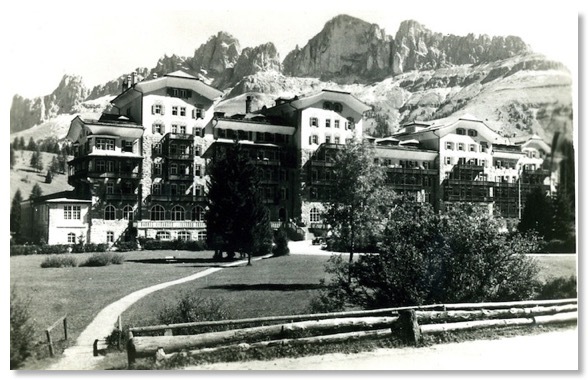 Nowadays, the Hotel is attached to what must be one of the world’s more scenic golf courses.